Mercy Buku, What a Global and Eclectic Menu! There’s a saying “jack of all trades, master of none” and when you look at Buku’s menu, the breadth and coverage of what they’re trying to dish out here is WAY impressive. 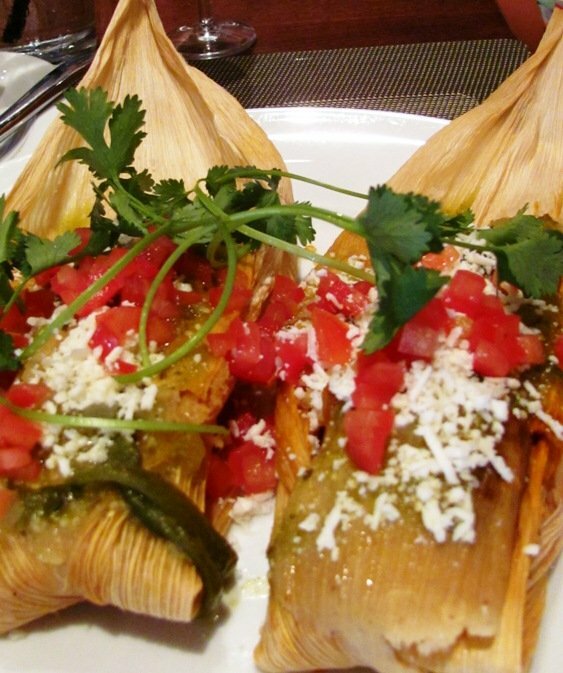 Latin American snacks, Asian cuisine across the continent, Middle Eastern fare and even some African. You name the region and it’s probably represented on Buku’s very diverse menu, we’re talking about over 50 different plates! My biggest fear when I see a menu like Buku’s is that there’s no way they could do it all well. But the reality is that Buku nearly pulls it off which is an impressive accomplishment. Tie in their gracious service and fantastic seating options and you’ll understand why I’m starting to like this place more and more. 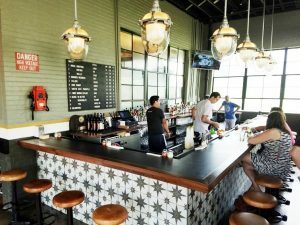 Located in what used to be Fins, Buku was an attempt to change up the menu and lower price points given the economic conditions in 2010 when it opened. It’s still got a posh feel but prices are quite reasonable, the $7 to $13 range for small plates in a VERY stylish interior. 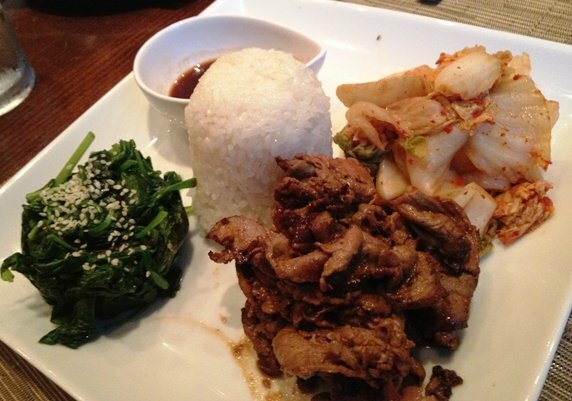 Everything from seared scallops to hot pot soups and even bulkogi. What is amazing about Buku is that not only does it have tremendous diversity in its menu, it also has it in terms of dining and seating options. 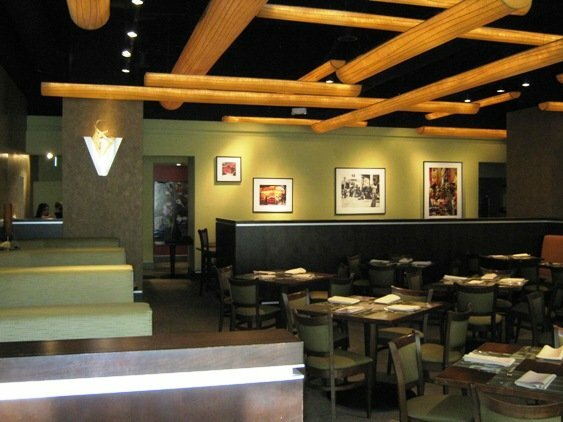 The interior dining room is upscale with very intimate lighting and decor. 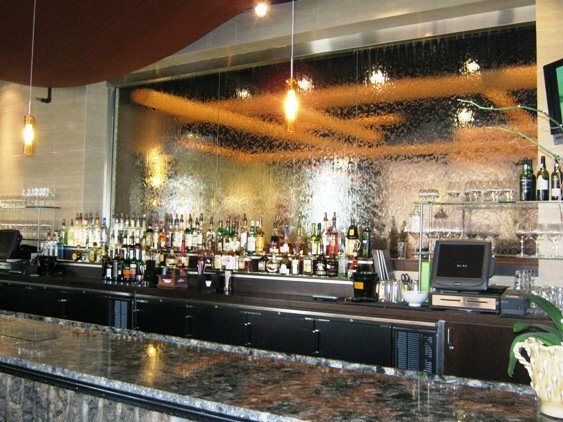 Out front is a really long bar with a soothing water-wall and lounge area. They’ve even got a small stage for live music in the corner. Outside is a long covered patio with four tops, just far enough off of Wilmington Street to be peaceful. I’ve hung out in each of the three areas and they all have a different feel depending on the mood you’re in. Given the menu is focused on small plates, you can try lots of different things at Buku which is perfect for their offerings. I’ve done everything from stuffed Chinese buns, Filipino lumpia to beef empanadas. Everything has been solid if not amazing, it is really hard to cover the breadth of food they offer. 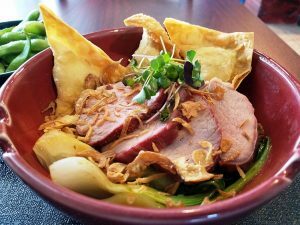 Their $20 Sunday brunch is very good, offering a prime rib carving station, fresh-made omelettes, waffles along with a buffet of global street food ranging from egg rolls to dumplings. Oh yeah, and the traditional eggs, bacon and sausage! 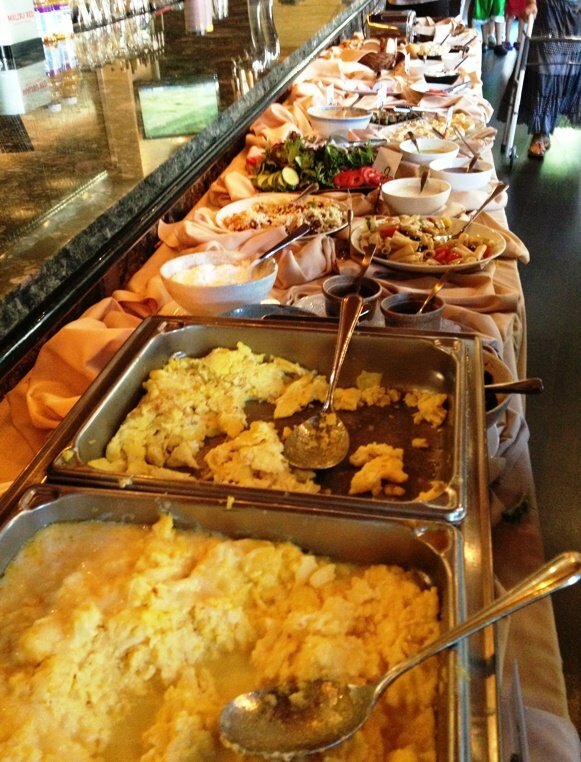 You’re definitely not leaving their Sunday buffet hungry, I’d recommend two miles of walking right afterwards. So while the food at Buku doesn’t blow me away, what does impress me is their service. Everyone from the hostess to bartender and waitstaff is very well-trained and gracious. I’ve been here for several community events including the Raleigh Typhoon scavenger hunt so I know the owners are well plugged into the local Raleigh scene. 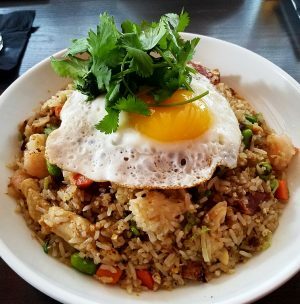 Can I find better food in the area? Probably. But I can’t find the combination of solid, eclectic food with great dining areas and excellent service at decent prices. Which is why I find myself liking Buku more and more over time. And to be honest with you, the breadth of their menu makes it near impossible to be excellent across the board. So if you come for a visit, choose your dishes wisely and I’m sure you’ll enjoy your meal at Buku. I for one, am very thankful for this lovely restaurant in downtown Raleigh, bon appetit and bon soir! You’re out of your mind. This place is aesthetically attractive but the food is very sub-par. Compare each of their dishes to the equivalent at other restaurants and you’ll see that the others win most of the time.